Ben Brooks, ‘O. 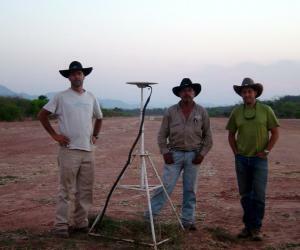 Ozcacha and Todd Ericksen stand next to one of the GPS stations used in the study. The region east of the central Andes Mountains has the potential for larger scale earthquakes than previously expected, according to a new study posted online in the May 8 edition of Nature Geoscience. Previous research had set the maximum expected earthquake size to be magnitude 7.5, based on the relatively quiet history of seismicity in that area. This new study by researchers from the University of Hawaiʻi at Mānoa and colleagues contradicts that limit and instead suggests that the region could see quakes with magnitudes 8.7 to 8.9. Benjamin Brooks, associate researcher in the Hawai‘i Institute of Geophysics and Planetology in the School of Ocean and Earth Science and Technology at UH Mānoa and colleagues used GPS data to map movement of the Earth’s surface in the Subandean margin, along the eastern flank of the Andes Mountains. The research team’s findings report a sharp decrease in surface velocity from west to east. From the data, the researchers conclude that the shallow section in the east of the region is currently locked in place over a length of about 100 kilometers, allowing stress to build up as the tectonic plates in the region slowly move against each other. The researchers estimate that rupture of the entire locked section by one earthquake could result in shaking of magnitudes up to 8.9. 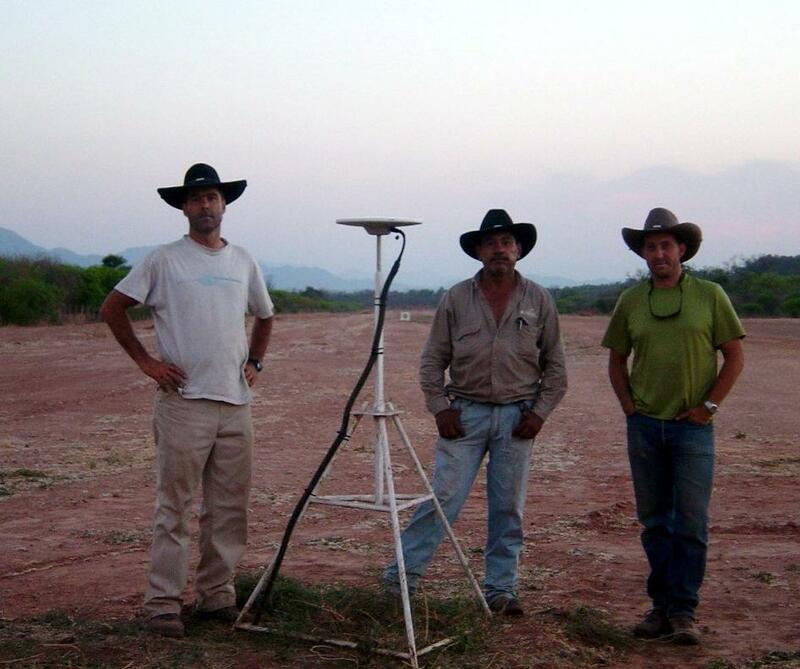 This project is a long-term collaborative effort between UH Mānoa, Ohio State University, Arizona State University, the Bolivian Instituto Geografico Militar (IGM), the Bolivian Seismological Observatory (Observatorio San Calixto), the Universidad Nacional de Cuyo (Argentina), and University of Memphis. The project's general name is the Central and Southern Andes Project (CAP). These findings came as a surprise to Brooks. “No one suspected the previous estimates were too low; it was a discovery that came out of my broader interest which is studying the way in which mountains (in this case the Andes) actively grow and deform,” he said. Major Arturo Echalar of the Bolivian IGM noted "The findings here are critical in helping us to continue to provide the most up-to-date and accurate information regarding geological hazards in Bolivia." With information from Rachel Twinn of the Nature Press Office.